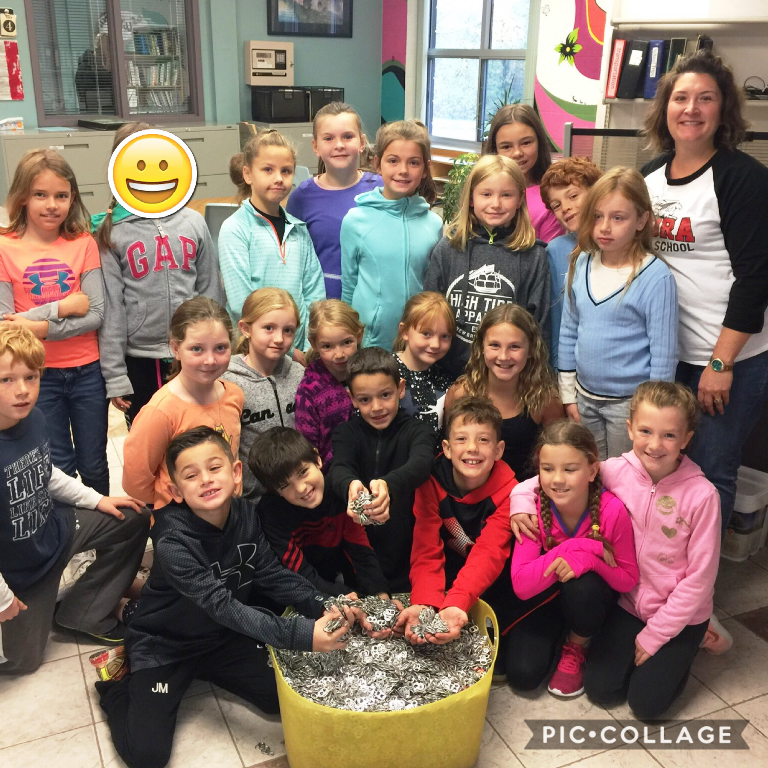 GUELPH, Ontario – Grade 3 and 4 students in Michelle Youngblood’s class at Elora Public School have been hard at work collecting pop tabs so a young girl in the community can get a wheelchair. Youngblood’s class read an article earlier this year in The Wellington Advertiser about six-year-old Jude and his three-year-old sister Anna. Jude has been collecting pop tabs from across the country in an effort to raise the $2,000 needed to get Anna a wheelchair. Inspired by Jude’s efforts, Youngblood’s grade 3/4 class decided to take up a collection for Jude and Anna. Students created and delivered announcements on the PA system, set up a collecting station outside of their classroom and spread the word to family and friends. Since starting the campaign, JD Hogarth PS has also come on board after a teacher-parent reached out to learn more about the cause. The class is continuing to promote the pop tab collection and is happy to have people drop their pop tabs off at Elora PS if they wish to participate.